“I move that the convention suspend the procedural rules. I move that all votes, all votes cast by delegates, be reflected in the official record, and I move that Hillary Clinton be selected as the nominee of the Democratic Party for president of the United States,” Senator Bernie Sanders said. Clinton becomes the first woman to be nominated for president by a major political party. 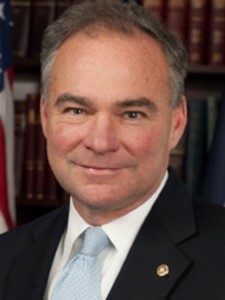 We are pleased to announce Hillary’s running mate, Senator Tim Kaine of Virginia. Tim is a lifelong progressive, someone who has a two decade long history of putting families first and getting it done. Also? One of the most qualified vice presidential candidates in our nation’s history. ST. LOUIS, MO – This morning after hearing testimony from 114 witnesses from around the country, the Democratic Platform Drafting Committee concluded its meeting with a final draft approved by the committee. The final draft includes a wide range of policy positions that reflect the depth and breadth of the Democratic Party.